My daughter and I love to fish (on my iPhone). She's 2; I'm a bit older, but we're both excellent anglers (on my iPhone). Flick Fishing and Fishing Kings are our favorites. It's no substitute for a father-daughter fishing trip, but there's much less gear involved, and we never have to retie our lines. I'm keen on teaching her where her food comes from and never thinking fish comes from the grocery store. Catching things to eat is the world's oldest profession, despite what they say about the other one. If you think about it, of everything we eat today, the only wild animals we still really hunt for food are fish. The problem is that we're getting too good at it. That hunt is now going high tech in much bigger ways than my iPhone games. Off our California coast, environmentalists and fishermen have teamed up to use apps and iPads to not only find the right fish, but also to make sure we don't catch them all. Keeping a stable population of fish healthy ensures there will be fish left to fish tomorrow. If you're a commercial fisherman, you are required to record the number of fish you caught and where you caught them. Typically, you send all that data on hand-written logs into the federal fisheries agency and that's the last you see of it. 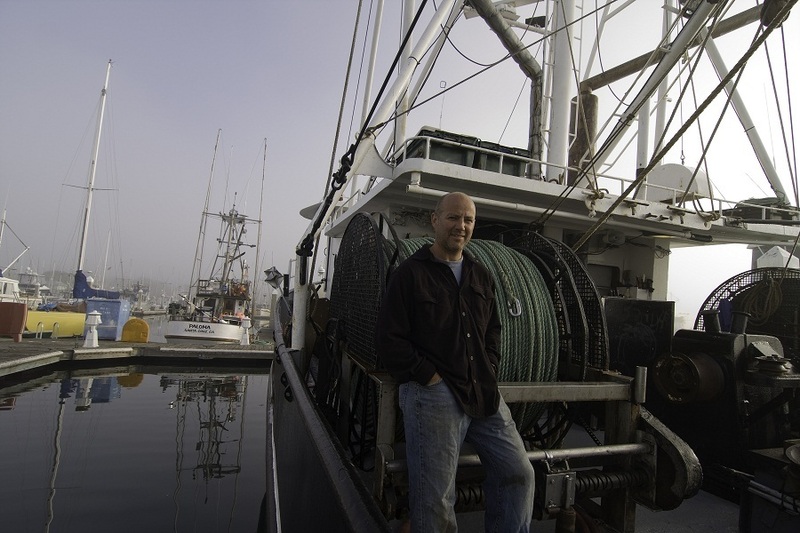 Enter eCatch, a new app developed by The Nature Conservancy and fishermen that lets them load their catch data at sea and have real time access to the latest information on where the fish are -- the ones they want to catch and the ones they need to avoid. The basic idea is that some fish are getting scarce. And when fish get scarce, some get endangered, which means tough regulation that makes it hard to stay afloat. If you want to catch the abundant fish, you need to know a lot about fishing patterns and spend countless hours at sea. Fishermen need to be smart to make sure they don't accidentally catch too many threatened fish and get sent back to the docks. To improve their success they are joining forces with other fishermen to manage this risk. It turns out that sharing catch data is a powerful way to do that. When a group of fishermen teams up and shares what they caught when and where, they build a powerful database of fishing information that helps them all make money and ensure there will be fish to catch tomorrow. By working together, the fishermen now have a way as an industry to manage their fishery sustainably themselves. The results are pretty impressive so far. Fishermen with iPads are sharing where overfished species are with their counterparts. They're taking advantage of each others' experience at sea by avoiding areas where someone caught overfished species and learning where the more abundant species are. And they're looking at overall trends to see if their fishing grounds are staying healthy and abundant. Both fishermen and environmentalists are committed to a thriving and strong ocean, and by utilizing technology and sharing information, we will ensure there willl be real fish left for our kids to enjoy.